These two Haddonfield homes located in the Estate neighborhood were two projects that make for a great transformation. 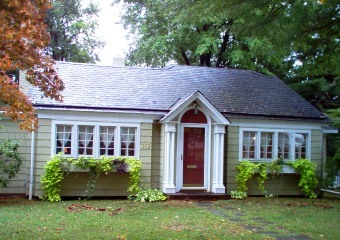 The first house was a quaint one story bungalow with an attractive entry portico. The homeowners had three children and badly needed the additional room. We were asked to retain the charm of the house but to add a new second floor to accommodate four bedrooms and two baths. We designed the house with lowered eaves to bring down the roofline to avoid the excess height that a second floor often will show. We also retained the original portico as part of the new design. We resided the house and gave it all new windows. The results were as you see, a great transformation. 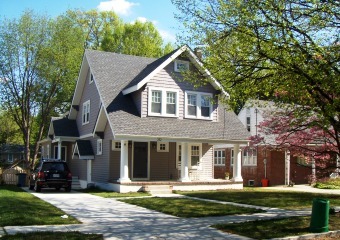 Our second house also includes a two story rear addition to the house. 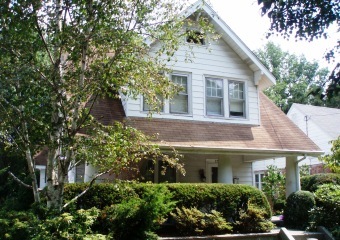 We including documentation to remodel the entire house and include all new siding and windows. We altered the front porch and relocated the front door to allow for a better interior flow. We even included a front foyer at the main stair. 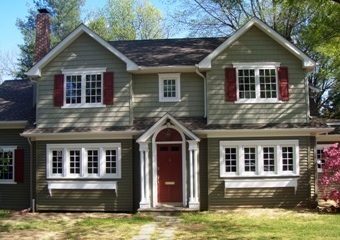 The addition included the kitchen, breakfast room and family room with a master suite on the second floor. This house turned out very charming! !